The 2017 Annual Award winners were announced during the annual conference awards ceremony October 19, 2017 at the Hilton Daytona Beach. 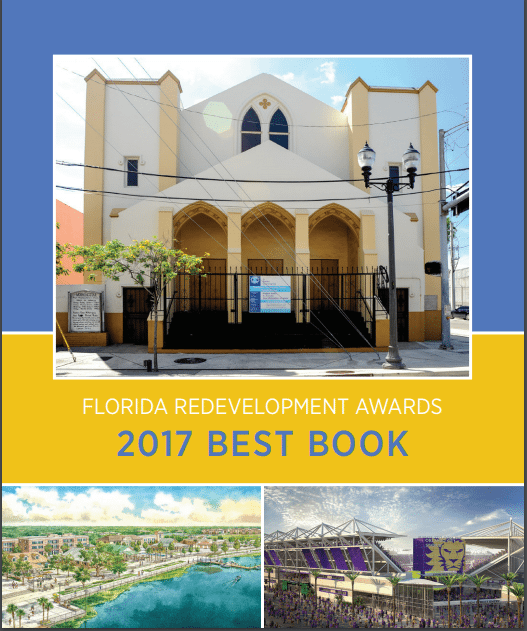 We congratulate the 2017 winners and are proud of your dedication to Florida redevelopment. To learn more about this year’s winner and projects, please see below as well as download the 2017 Best Book. The Overtown Plaza is the oldest and largest shopping center in the Southeast Overtown/Park West CRA area. Over the years, the shopping center had become rundown and sorely in need of a facelift. To attract more businesses to the area, it underwent a $2.2 million renovation financed by the CRA. The improvements included exterior and interior renovations to house a large-scale grocery store. 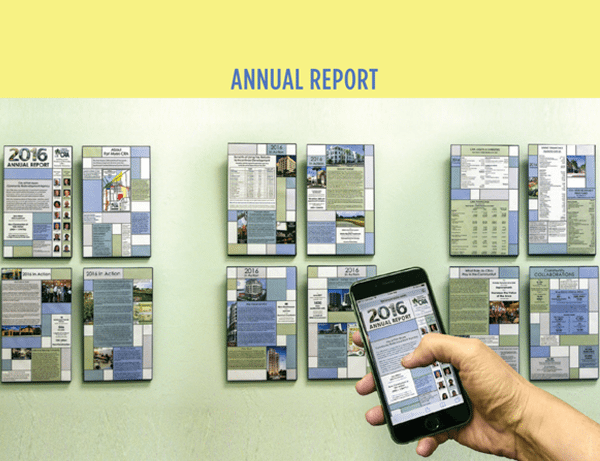 Focused on proving the value of CRAs while reporting on the fiscal year 2016 activities of the Fort Myers CRA, the 2016 Annual Report used an innovative, Mondrian-inspired design to increase readability through bite-sized color areas of information. The well-received publication highlighted facts in call-out blocks, through quick-scan charts and columns, with targeted imagery and by composition adjusted to show content in its best light. Meeting the Agency’s sustainability goals, a single scrollable design reads well on electronic devices, prints on standard paper and, for added transparency, each page may be displayed as an individual piece of art. 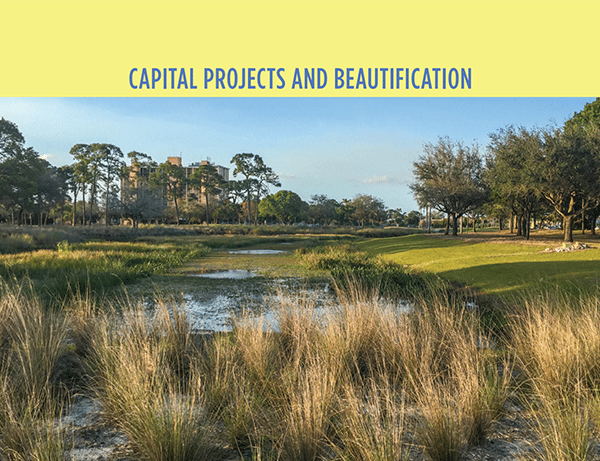 The Fort Myers CRA partnered with the City on a stormwater retrofit project at the City’s golf course, building additional water treatment/volume into the existing system. Creating a stormwater mitigation bank that developers could use in lieu of building their own onsite treatment systems, this program uses offsite credits, that can be sold or given to developers as an incentive, to increase private investment, property values and public enthusiasm. The primary objective of the Redevelopment Incentives for Pilot Project Areas Program is to focus on job creation through encouraging investment in office and industrial development, specifically for infill and the redevelopment of obsolete structures. The key objective is to encourage private-sector investment in sites and buildings that will retain and attract businesses and jobs for our community. 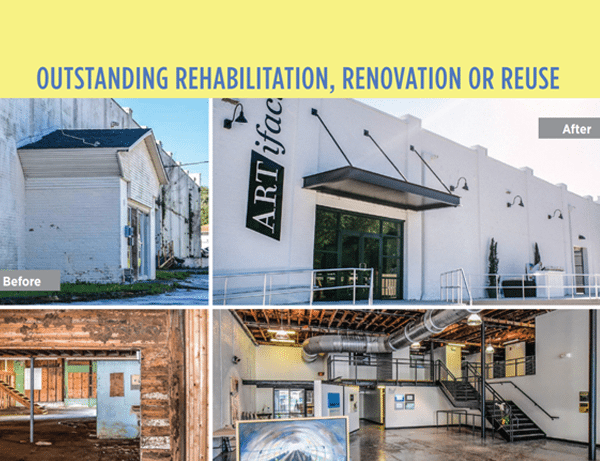 This program presents financial incentives for revitalization that are designed to reduce and eliminate decline and deterioration, stimulate new investment, stabilize the tax base and maintain existing businesses. 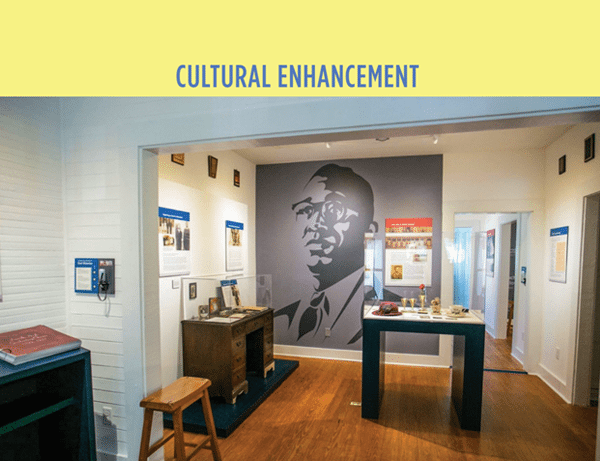 The A. Quinn Jones Museum and Cultural Center involved the rehabilitation and adaptive reuse of the former home of A. Quinn Jones, a community leader who made great improvements to the educational system for African Americans in the days of segregation. The home is listed on the National Register of Historic Places because of Jones’ contributions to education. The Gainesville CRA transformed the home into a museum where visitors learn about the people from the Fifth Avenue-Pleasant Street Neighborhood, their histories, triumphs and setbacks and how these events related to the broader context of our national history. The Creative City Project emerged from the belief that artists can change a city for the better by making it a more beautiful, meaningful and interesting place to live. In the fall of 2016, the project came to Downtown Orlando. 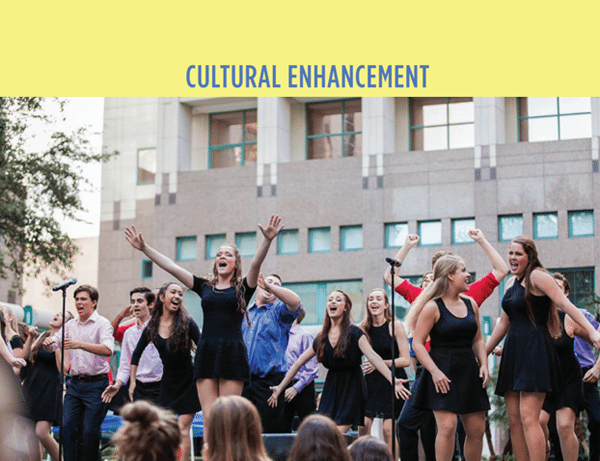 More than 800 artists took part, and 20,000 people experienced performances at various Downtown locations including CityArts Factory, the Gallery at Avalon Island, locations along Orange Avenue from Robinson Street to Central Boulevard, and more. 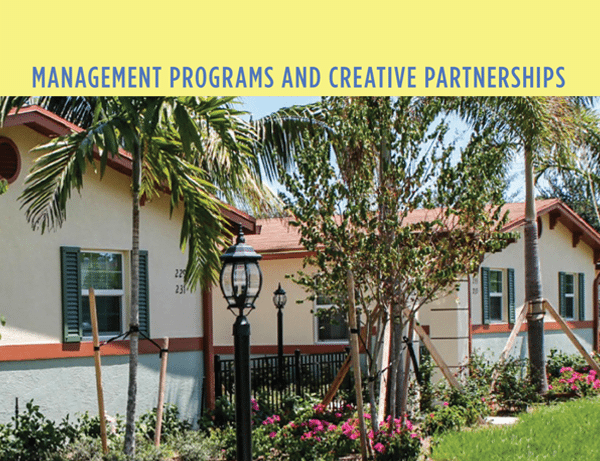 2016 marked the completion of Courtyards on 12th Project, a long-anticipated workforce housing project consisting of six duplexes (12 units), providing the City of Delray Beach with permanent housing stock while building the capacity of its non-profit housing partner, the Delray Beach Community Land Trust, through a ground lease-management agreement. 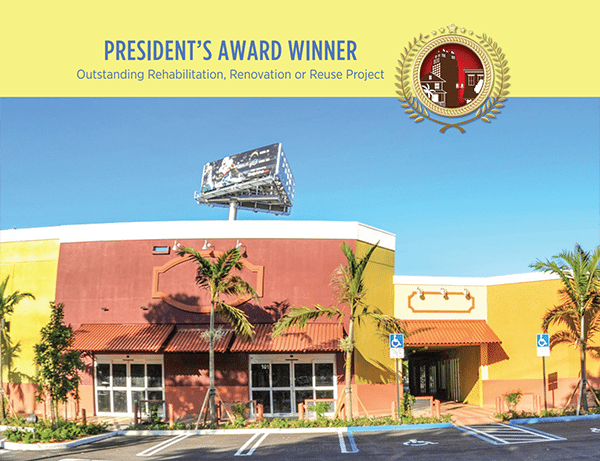 The CRA invested significant capital in the acquisition and renovation of the properties it was better to maintain ownership of the units to stabilize the neighborhood. The partnership implemented the CRA’s goals of redevelopment without displacement and prevention of gentrification. 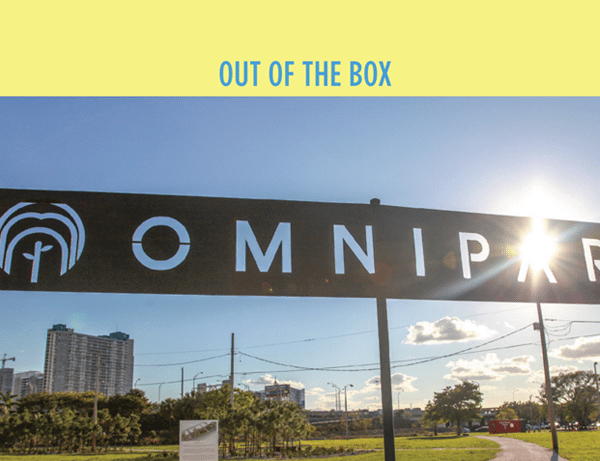 Omni Park transformed 7.5 acres of blighted Florida Department of Transportation-owned vacant lots into an active community green space in the heart of Miami’s urban core. This project promotes economic development, enhances walkability and improves quality of life through short-term interventions intended to affect long-term change in the neighborhood. The park includes art installations, a popup library, Omni Kitchen (a sit-down cafe), Magic City Bike Collective and a skate park. Omni Park hosts community events for thousands of locals. The space eventually will be incorporated into a permanent project as part of the long-term development of the area. 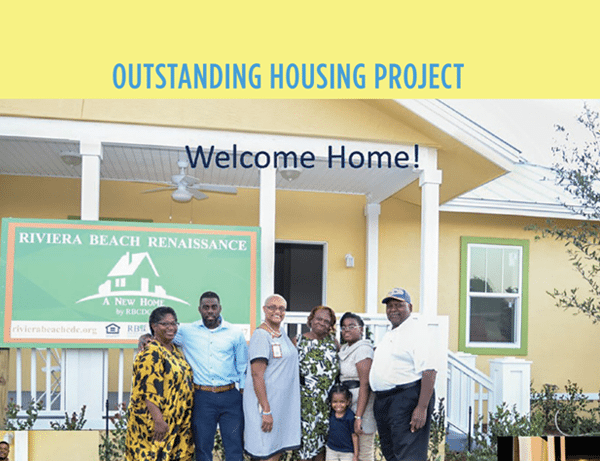 In October 2013, the Riviera Beach Community Redevelopment Corporation was awarded a $1,014,152.97 Home Investment Partnerships Program grant to complete at least five homes for low-to moderate income, first time homebuyers. The pipeline of buyers eagerly prepared for this super opportunity to achieve the American Dream, and to stabilize one of the city’s oldest neighborhoods. All five of the attractive, energy-efficient homes are completed, with closings in February 2017. The buyers are local single mothers or grandmothers. 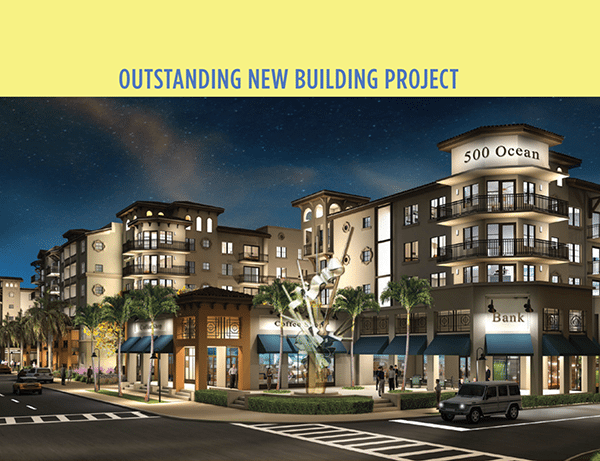 The 500 Ocean project is located at the southwest corner of Federal Highway and Ocean Avenue on a 4.8-acre parcel. The project is a mixed-used development with 341 residential units, 13,300 square feet of retail and 6, 600 square feet of office space. Located ½ a mile from the intercostal waterway, the project will add approximately 600 residents to the downtown area increasing demand for goods and services. The project will add life and economic benefit to Ocean Avenue. 820 North Massachusetts Avenue began in 1920 as an A&P supermarket and later was used as a furniture warehouse filled from floor to ceiling with items including toilets, street lights, carpet and interior light fixtures. The unsightly storage was visible through the storefront on Massachusetts Avenue. The renovation of the 15,000-square foot building highlight the industrial elements, retained the naturally distressed white brick walls, and exposed wooden rafters. Now this premier event venue represents the perfect balance of vintage and modern. What is Downtown NoMi’s unique market position? 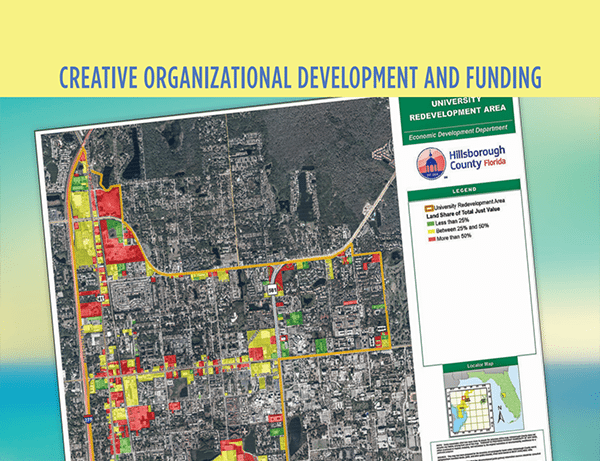 Downtown North Miami is one target area in the North Miami CRA Plan, which identifies 14 economic development goals. To achieve these goals, a strategic marketing plan was developed as a step-by-step guide, prioritizing objectives, strategies, tactics and budget. 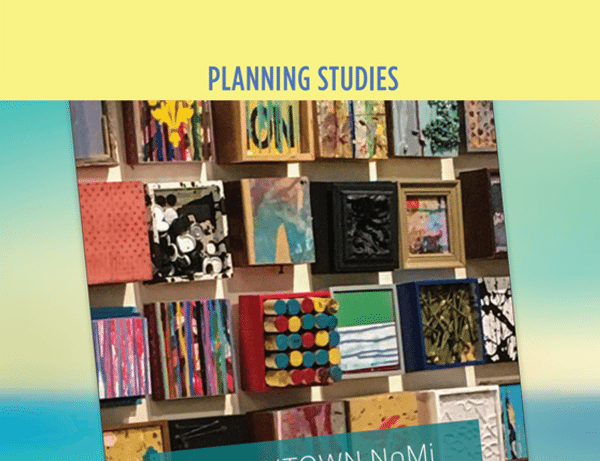 Downtown NoMi is now positioned in the market as a “tasteful, rhythmic, eccentric and artistic” place to dine, watch live music, find unusual mid-century modern furnishings or high-end boutique fashion and experience an art-filled cultural scene. To NoMi is to Love Me! 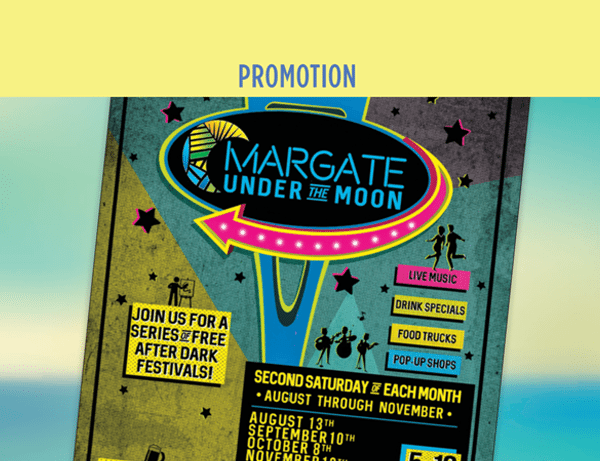 Margate Under the Moon is a continuing event series held on one of Margate’s biggest roadways. It is intended to increase awareness and bring attendance to the area including in hopes of developing a downtown district. The event occurs during the off-season months (August-November). Attendance last season was in the thousands, a younger demographic. The goal is to encourage attendees to think of the downtown as a place to work and play. Local merchants benefit by having a free vendor space to promote their businesses.